"Ronnie is a great trial to me," said Mrs. Attray plaintively. "Only eighteen years old last February and already a confirmed gambler. I am sure I don't know where he inherits it from; his father never touched cards, and you know how little I play - a game of bridge on Wednesday afternoons in the winter, for three-pence a hundred, and even that I shouldn't do if it wasn't that Edith always wants a fourth and would be certain to ask that detestable Jenkinham woman if she couldn't get me. 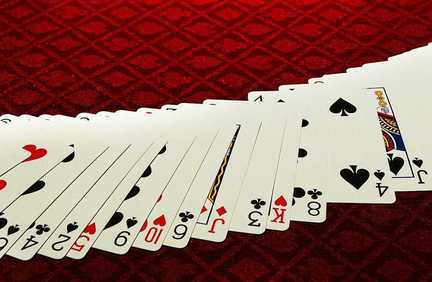 I would much rather sit and talk any day than play bridge; cards are such a waste of time, I think. But as to Ronnie, bridge and baccarat and poker-patience are positively all that he thinks about. Of course I've done my best to stop it; I've asked the Norridrums not to let him play cards when he's over there, but you might as well ask the Atlantic Ocean to keep quiet for a crossing as expect them to bother about a mother's natural anxieties." "Why do you let him go there?" asked Eleanor Saxelby. "My dear," said Mrs. Attray, "I don't want to offend them. After all, they are my landlords and I have to look to them for anything I want done about the place; they were very accommodating about the new roof for the orchid house. And they lend me one of their cars when mine is out of order; you know how often it gets out of order." "I don't know how often," said Eleanor, "but it must happen very frequently. Whenever I want you to take me anywhere in your car I am always told that there is something wrong with it, or else that the chauffeur has got neuralgia and you don't like to ask him to go out." "He suffers quite a lot from neuralgia," said Mrs. Attray hastily. "Anyhow," she continued, "you can understand that I don't want to offend the Norridrums. Their household is the most rackety one in the county, and I believe no one ever knows to an hour or two when any particular meal will appear on the table or what it will consist of when it does appear." Eleanor Saxelby shuddered. She liked her meals to be of regular occurrence and assured proportions. "Still," pursued Mrs. Attray, "whatever their own home life may be, as landlords and neighbours they are considerate and obliging, so I don't want to quarrel with them. Besides, if Ronnie didn't play cards there he'd be playing somewhere else." "Not if you were firm with him," said Eleanor "I believe in being firm." "Firm? I am firm," exclaimed Mrs. Attray; "I am more than firm - I am farseeing. I've done everything I can think of to prevent Ronnie from playing for money. I've stopped his allowance for the rest of the year, so he can't even gamble on credit, and I've subscribed a lump sum to the church offertory in his name instead of giving him instalments of small silver to put in the bag on Sundays. I wouldn't even let him have the money to tip the hunt servants with, but sent it by postal order. He was furiously sulky about it, but I reminded him of what happened to the ten shillings that I gave him for the Young Men's Endeavour League 'Self-Denial Week.' "
"What did happen to it?" asked Eleanor. "Well, Ronnie did some preliminary endeavouring with it, on his own account, in connection with the Grand National. If it had come off, as he expressed it, he would have given the League twenty-five shillings and netted a comfortable commission for himself; as it was, that ten shillings was one of the things the League had to deny itself. Since then I've been careful not to let him have a penny piece in his hands." "He'll get round that in some way," said Eleanor with quiet conviction; "he'll sell things." "My dear, he's done all that is to be done in that direction already. He's got rid of his wrist-watch and his hunting flask and both his cigarette cases, and I shouldn't be surprised if he's wearing imitation-gold sleeve links instead of those his Aunt Rhoda gave him on his seventeenth birthday. He can't sell his clothes, of course, except his winter overcoat, and I've locked that up in the camphor cupboard on the pretext of preserving it from moth. I really don't see what else he can raise money on. I consider that I've been both firm and far-seeing." "Has he been at the Norridrums lately?" asked Eleanor. "He was there yesterday afternoon and stayed to dinner," said Mrs. Attray. "I don't quite know when he came home, but I fancy it was late." "Then depend on it he was gambling," said Eleanor, with the assured air of one who has few ideas and makes the most of them. " Late hours in the country always mean gambling." "He can't gamble if he has no money and no chance of getting any," argued Mrs. Attray; "even if one plays for small stakes one must have a decent prospect of paying one's losses." "He may have sold some of the Amherst pheasant chicks," suggested Eleanor; "they would fetch about ten or twelve shillings each, I daresay." "Ronnie wouldn't do such a thing," said Mrs. Attray; "and anyhow I went and counted them this morning and they're all there. No," she continued, with the quiet satisfaction that comes from a sense of painstaking and merited achievement, "I fancy that Ronnie had to content himself with the role of onlooker last night, as far as the card-table was concerned." "Is that clock right?" asked Eleanor, whose eyes had been straying restlessly towards the mantel-piece for some little time; "lunch is usually so punctual in your establishment." "Three minutes past the half-hour," exclaimed Mrs. Attray; "cook must be preparing something unusually sumptuous in your honour. I am not in the secret; I've been out all the morning, you know." Eleanor smiled forgivingly. A special effort by Mrs. Attray's cook was worth waiting a few minutes for. As a matter of fact, the luncheon fare, when it made its tardy appearance, was distinctly unworthy of the reputation which the justly-treasured cook had built up for herself. The soup alone would have sufficed to cast a gloom over any meal that it had inaugurated, and it was not redeemed by anything that followed. Eleanor said little, but when she spoke there was a hint of tears in her voice that was far more eloquent than outspoken denunciation would have been, and even the insouciant Ronald showed traces of depression when he tasted the rognons Saltikoff. "Not quite the best luncheon I've enjoyed in your house," said Eleanor at last, when her final hope had flickered out with the savoury. "My dear, it's the worst meal I've sat down to for years," said her hostess; "that last dish tasted principally of red pepper and wet toast. I'm awfully sorry. Is anything the matter in the kitchen, Pellin?" she asked of the attendant maid. "Well, ma'am, the new cook hadn't hardly time to see to things properly, coming in so sudden" commenced Pellin by way of explanation. "The new cook!" screamed Mrs. Attray. "Colonel Norridrum's cook, ma'am," said Pellin. "What on earth do you mean? What is Colonel Norridrum's cook doing in my kitchen - and where is my cook?" "Perhaps I can explain better than Pellin can," said Ronald hurriedly; "the fact is, I was dining at the Norridrums' yesterday, and they were wishing they had a swell cook like yours, just for to-day and to-morrow, while they've got some gourmet staying with them: their own cook is no earthly good - well, you've seen what she turns out when she's at all flurried. So I thought it would be rather sporting to play them at baccarat for the loan of our cook against a money stake, and I lost, that's all. I have had rotten luck at baccarat all this year." The remainder of his explanation, of how he had assured the cooks that the temporary transfer had his mother's sanction, and had smuggled the one out and the other in during the maternal absence, was drowned in the outcry of scandalised upbraiding. "If I had sold the woman into slavery there couldn't have been a bigger fuss about it," he confided afterwards to Bertie Norridrum, "and Eleanor Saxelby raged and ramped the louder of the two. I tell you what, I'll bet you two of the Amherst pheasants to five shillings that she refuses to have me as a partner at the croquet tournament. We're drawn together, you know." This time he won his bet. Written by Saki [Pen name of Hector Hugh Munro] from the collection of 'Beasts and Super-Beasts' first published in 1914.